Simply a classic, whether on the West Coast or in the midwest. 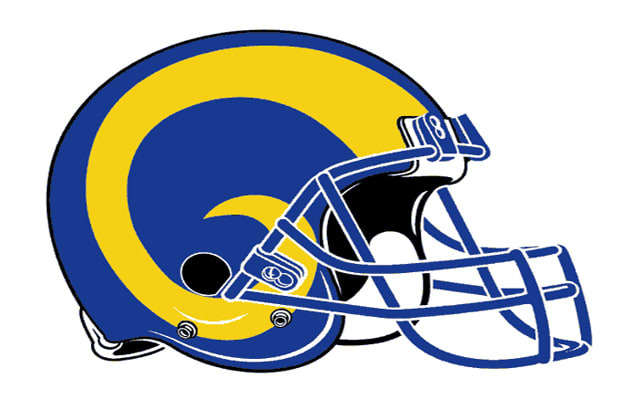 Football players ram each other in the head, just like rams, so why shouldn't their helmets look like ram horns? The L.A. Rams went to a navy blue and white colorway for much of the '60s, which was ill in its own way, but the new, modernist gold and blue leaves us feeling cold. They adopted the new colorway immediately after winning the franchise's only Super Bowl in 1999; aside from a Super Bowl loss to Captain Brady and the Pats, they haven't sniffed such success since. Curse?